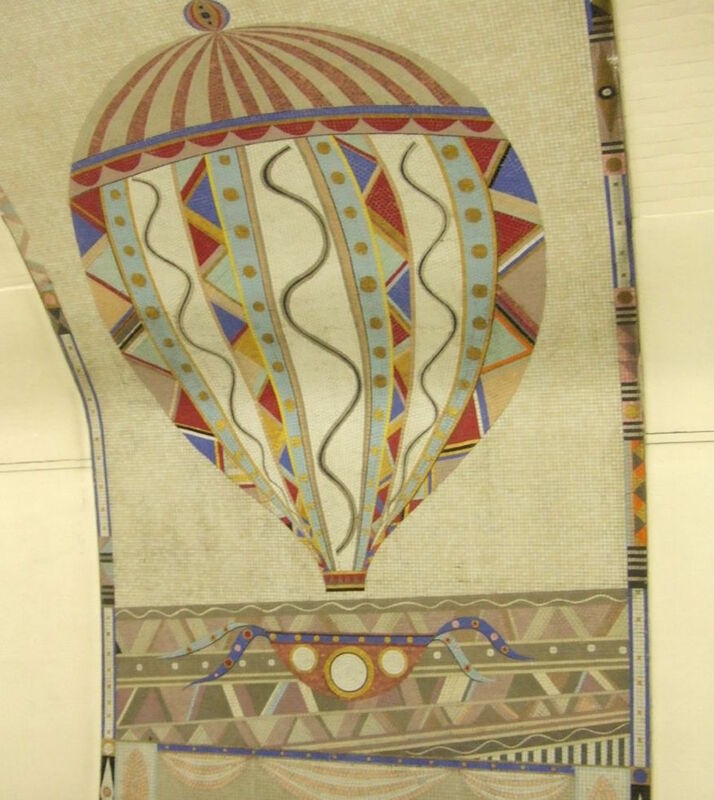 Why Are There Hot Air Balloon Mosaics At Finsbury Park Tube? 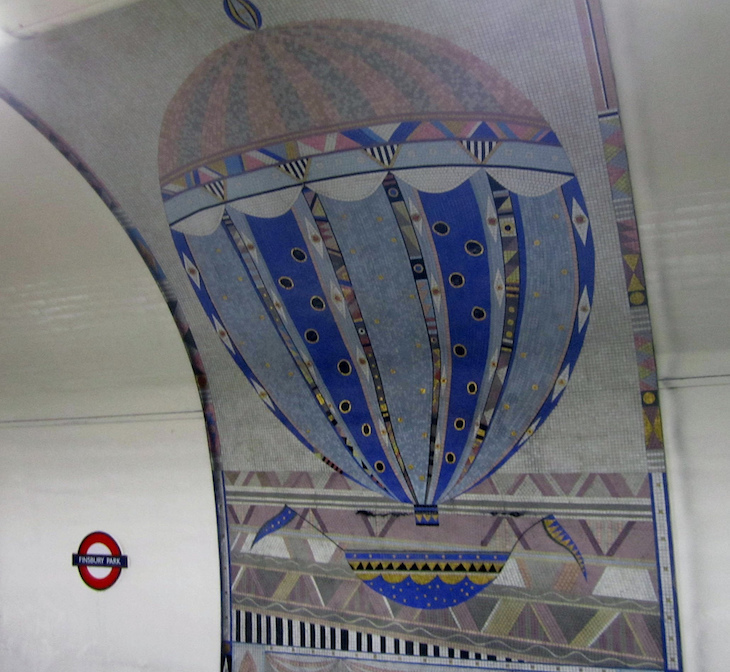 M@ Why Are There Hot Air Balloon Mosaics At Finsbury Park Tube? Take the southbound Piccadilly from Finsbury Park and you'll notice a series of six vintage hot-air and helium balloons rising and descending along the wall. The balloons are artfully constructed in mosaic tiles, the work of Annabel Grey (who also did the Marble Arch platform art). The commission was installed in 1983 and still delights visitors to the station today. But why balloons? It seems a little contrarian for the walls of a subterranean space. Image by msganching in the Londonist Flickr pool. It could be a case of mistaken identity. 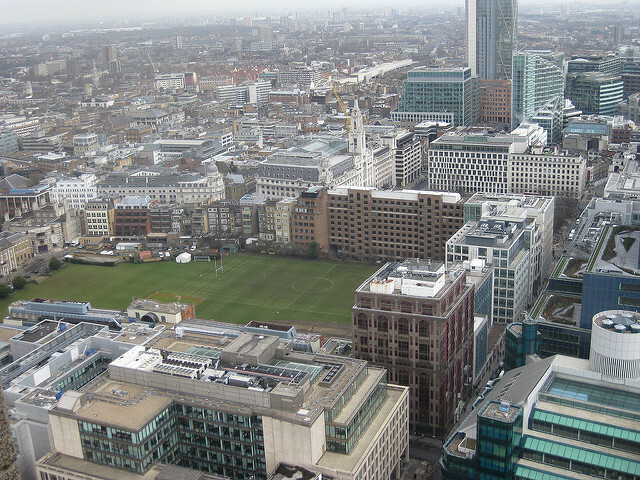 Balloon flights are more closely associated with Finsbury Fields, an open space near Moorgate, just north of the Square Mile. It was here, on 15 September 1784, that Vincenzo Lunardi became the first human to fly in England, accompanied by a confused dog, a puzzled cat and a seen-it-all-before pigeon. His hydrogen balloon ascended from part of the fields used as an artillery ground, now the headquarters of the Honourable Artillery Company. The artillery ground, formerly in Finsbury Fields, and site of the first manned flight in Britain. Photo by M@. That was Finsbury Fields. Finsbury Park, on the other hand, is two or three miles north of here and has no obvious connection to ballooning. It's tempting to speculate (and some have) that whoever wrote the brief for the murals got their Finsburys in a twist. It wouldn't be an unforgivable error. Finsbury Park was created in 1869 by the Borough of Finsbury, which included Finsbury Fields... so it all just about links together. A similar error may have been made on the Victoria line platforms, where crossed pistol murals recall the history of duelling in Finsbury Fields (not Park). However, the artist says that balloons were chosen simply to give a feeling of elevation in a very deep tunnel. Either way, they're a beautiful addition to an otherwise unlovable station. As Winnie the Pooh once observed: nobody can be uncheered with a balloon.